CRRC and KiwiRail signed a letter of intent to expand their co-operation during a visit to New Zealand by Chinese Premier Li Keqiang on March 27. 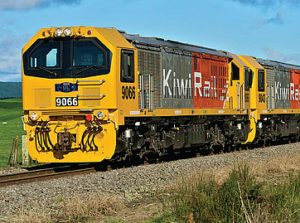 Chinese companies have delivered diesel locomotives and wagons to New Zealand since 2009, and future projects could involve the passenger rolling stock sector. Northland Regional Council also discussed possible Chinese participation in the development of new road and rail links.